Lessing wasn’t just an ordinary writer however. 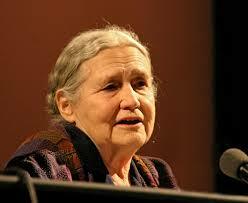 She actually received the Nobel prize for literature at the age of 88, back in 2007. She was called an “epicist of the female experience” by the Swedish Academy and they talked about how she had caused modern civilization to take a good look at herself. The author is survived by her daughter and two granddaughters, and the family is requesting privacy in this difficult time. Lessing was born in what was then called Persia but is now Iran, and her parents were British. She grew up in what is now Zimbabwe, and her mother introduced her to stories at a very young age, reading to her and later, Lessing took those stories and made them her own when she told them to her younger brother. Lessing took the stories and the experiences of her youth and turned them into 50 books during her lifetime. She dropped out of school at age 13 but learned to write by reading some of the greatest authors of the time including Charles Dickens, Tolstoy, D.H. Lawrence and many others. Lessing said that she got her education by reading. One of the things that Lessing was known for was being a humanitarian. She spoke about those in under developed countries where there is a thirst for knowledge but people are struggling to obtain it in her Nobel prize acceptance speech. “A friend who had been in Zimbabwe told me about a village where people had not eaten for three days, but they were still talking about books and how to get them,” she told the audience. Lessing was a wonderful person, and a great author and she will be missed.